Whether it be sewing, quilting, knitting or crocheting, we as crafters know the joy we feel when making handmade goodness. Sure, getting the seam ripper out isn’t always joyful and unravelling yarn isn’t the most exciting part of the process, but as a whole we pursue our hobby for its reward. The process of choosing fabric or yarn, sewing little stitches, pressing and cutting is rewarding. That final finished product and the joy we feel at our accomplishment is an added bonus. For years, women (and men) have enjoyed hand crafts - both as a necessity and as a pass-time. In years gone by, women would make quilts with whatever fabric scraps they could get their hands on. 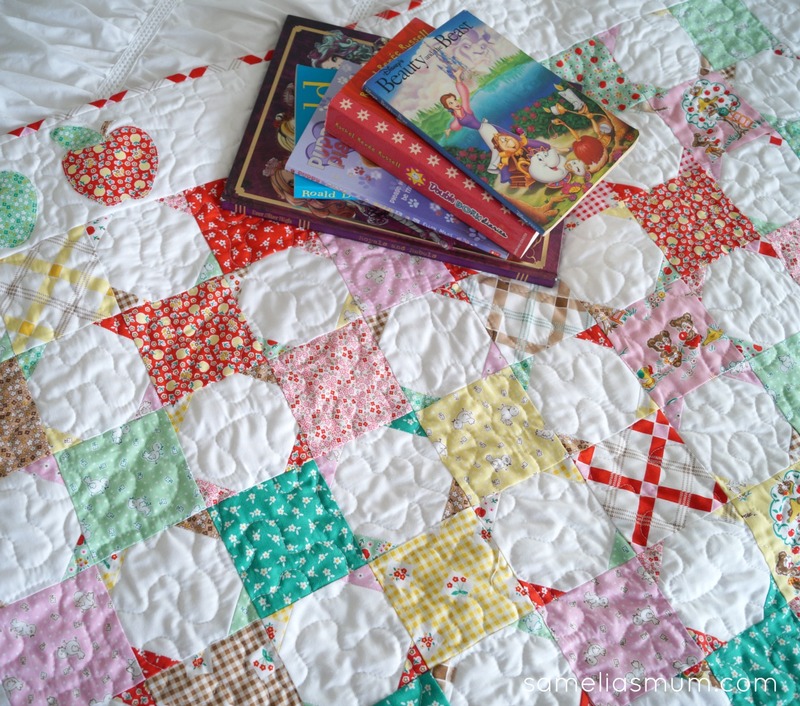 Quilts to keep their families warm in the colder months. They would make do with what they had, gather together in groups in their homes to sew together and to socialise. I’m sure while sewing together, a lot of chatting and gossiping went on in those days, as it surely still does today. With central heating and technological advances, gathering scraps to make quilts for warmth isn’t as important as it once was, yet, we still gather to sew together - in homes, halls or even as online communities. Crafters have always, and, will always love to craft. The repetitive nature of sewing or knitting helps keep stress at bay. As the reward chemicals in our brain increase, blood pressure decreases as does the heart rate. We feel a sense of wellbeing and relaxation while we work. Not only does it make us feel good, but crafting is a wonderful way to keep our brains active. While crafting, we problem-solve while constantly developing our hand-eye coordination and spatial awareness. Crafting builds community - be it in person or online. Crafting is a wonderful way to socialize with like-minded people. Spending a few hours, sitting together while working on our latest projects is a wonderful way to make new friendships. Visit your local quilt store or call your local community centre to find out more information about crafty gatherings. If you can’t get to a gathering in person, there are lots of way to meet and stay in touch with like minded people, online. Instagram, Facebook groups and old fashioned forums are great ways to share pictures of your work, ask for advice, look at what other people are working and in turn, offer your own advice. These online groups are sources of inspiration and a new way to make virtual crafty friends. Who knows, you may even get to meet up in real life one day? If like me, you’ve been crafting for a while, you just might begin to wonder what to do with all of your finished projects. The cupboard is full of your finished work and you’ve probably gifted every family and friend some sort of quilt, bag, cushion etc. Selling your projects is a good way to get some more crafty spending money on sites like eBay or ETSY. Crafting for your community is another wonderful way to keep pursuing your hobby (because let’s face it, we love to “make” and mostly do it for the “making” rather than the end product). There are hundreds of organisations which welcome handmade items. Quilts for foster kids, blankets for the elderly in nursing homes, clothing or personal items for women in shelters, booties and beanies for babies in the NICU… honestly, if you can make it, there is someone, somewhere, who needs it. After chatting with a few friends and a little online research, here is a small example of ways to volunteer time or donate your craft. Quilts for babies in the NICU - these are simple little coverlets for tiny babies. 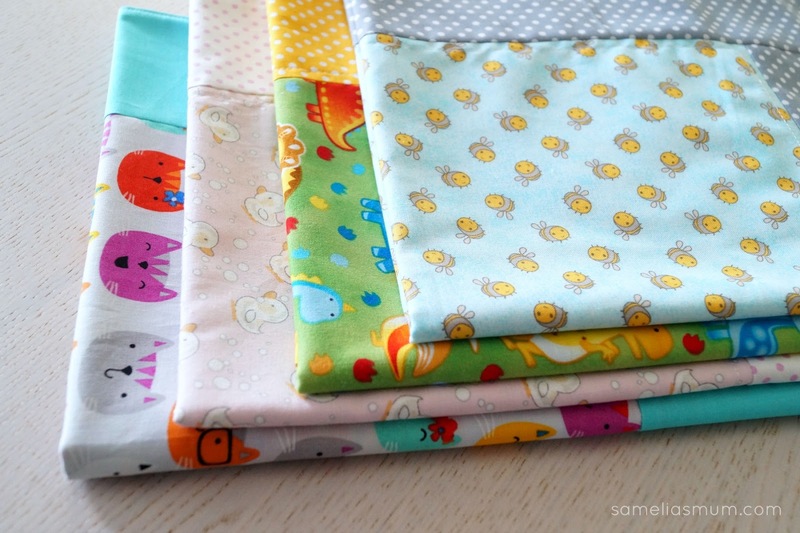 These coverlets are simple fronts (with bright and happy children fabrics) and backed in cotton flannelette. No batting is required (just the 2 layers) and sizes are generally between 18” to 24”. Contact your local hospital for their specific requirements. The purpose of The Handmade with Love Project is to offer people who love to sew and make beautiful handmade things an opportunity to channel their creative skills into making Soft Toys and Snuggle & Care Quilts which are then donated to the Sydney Children's Hospital throughout the year. Patterns provided. Encouraging people to make quilts and laundry bags to send to Aussie service men and women currently serving overseas. Laundry bag pattern is provided. Quilts are either made for a specific person or make a general quilt (to required size) and send to the group, who will then pass it on to a service person. ‘Softies for Mirabel’ is an annual handmade toy drive for the Mirabel children. The toy drive is the brainchild of Pip (Meet me at Mike’s) and every year the toy drive is open to all crafty participants who wish to knit, crochet or sew a Softie or two. Participants are encouraged to be as creative as they like as each Softie will be matched to the age, likes and needs of a Mirabel child. The purpose of this group is to collaborate together to sew and donate requested items to our chosen charities and community organisations in Australia. You can help by gathering/ donating fabric or by sewing or both! Throughout March, Sewing for Charity Australia’s main project will be collecting handmade women’s toiletry bags and gifts for women. A blanket or quilt can become a very special attachment for a child and by donating your Snuggle Quilt the child receiving it will be able to take it with them. Quilts measure 1m x 1m. Angels for the Forgotten (AFTF) is a 100% volunteer run, not-for-profit charity (with DGR approval) that aims to provide dignity, hope and Joy through practical acts of support and kindness. We believe that community donations of handmade items can give a vulnerable individual or family comfort in a time of need. Hand made items that have been crafted by individuals and groups all around Australia are collected and distributed. 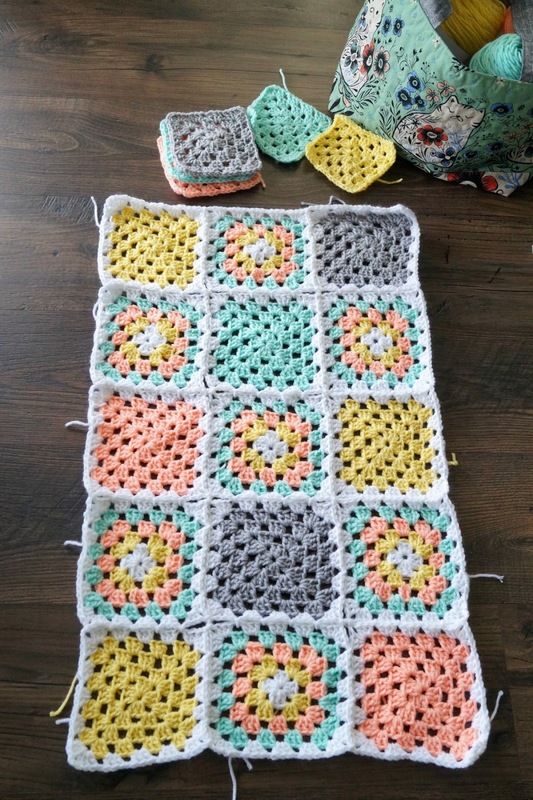 Create some small knitted or crochet blankets and donate them to a local nursing home. The elderly spend long periods of time sitting down (often in wheel-chairs) so the lap quilts only really need to be approx 1m square. The elderly are often forgotten when it comes to “making” for charity. 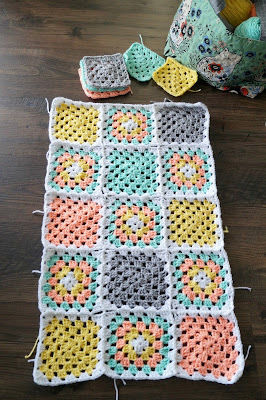 I have made a number of small crochet blankets to donate to local homes. Trauma Teddy™ is a special bear knitted by volunteers and given to children and adults during traumatic times. If you are a willing and able knitter, the Red Cross would love to hear from you. New members are always welcome. Now collecting 50,000 poppies for the RSL for the 2018 Poppy Appeal - due April. 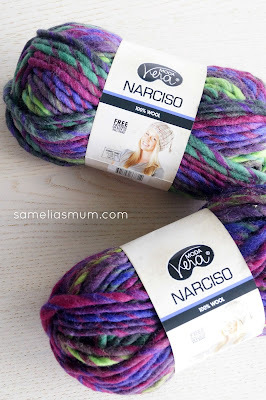 Winter is coming, so why not grab a couple of extra balls of yarn and knit a scarf or two for the homeless in the community? 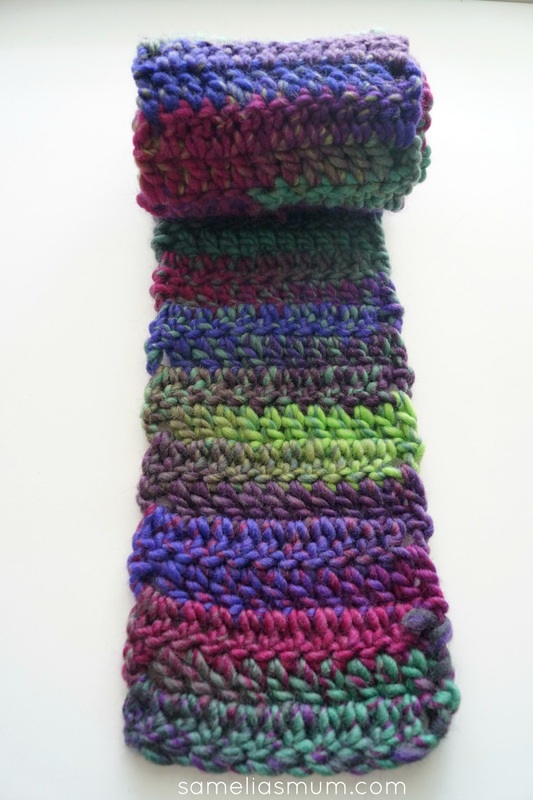 Scarves are a wonderful way to knit a quick project and especially great for anyone wanting to learn. Why not sit and take a little time to teach your child or a friend how to knit or crochet scarves for the homeless too? Whatever your craft, there is always someone, somewhere who will gladly accept and appreciate your handmade gift. When you make a gift by hand, you think about the recipient. A handmade gift is always certainly made with love. Spotlight have been supporting Australian crafters since 1973 and is the home of #CraftMonth (1 March to 31 March). 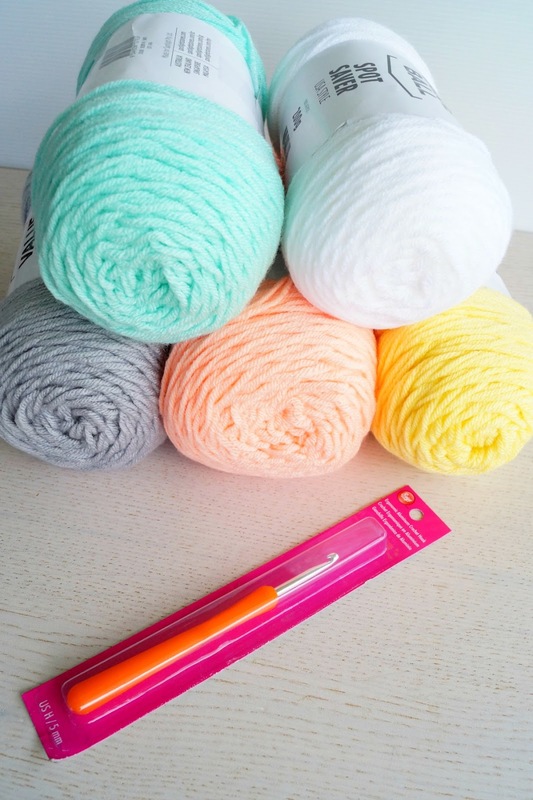 Join the ‘Make It Yourself’ movement and visit your local Spotlight store for all of your sewing, knitting and crafting supplies.